SharePoint Trenches: Migrate all SharePoint databases to new SQL Server with minimum clicking and a few words about my new job! Migrate all SharePoint databases to new SQL Server with minimum clicking and a few words about my new job! Here we are, a new post after a long pause. I will try to change this in future and blog as much as I can. If you are not visiting my blog for first time I guess you have noticed that the branding is slightly different. The change is mainly in the bottom right where is located the logo of my current employer. At the moment I am writing this post I am in my fourth week as Senior SharePoint Engineer for bluesource.I think that I made a good decision and this change is a step forward, something that I needed and wanted. Bluesource is a great company, not very big(at the moment), but currently present on three continents Europe, Australia and North America. It has wide portfolio of technologies and services.As a Senior SharePoint Engineer I will be the main person involved in the ongoing SharePoint support of our customers and our internal SharePoint infrastructure. I am working with many customers and this is a great opportunity to see different solutions, implementations, requirements and requests. I will support not just SharePoint 2013, but 2010 and Online. A lot of the customers are looking at fast,cheap and supportable solutions, this is why they are heavily using Nintex Workflow, Nintex Forms, InfoPath and more. I am especially excited about Nintex Workflow, this is the perfect tool/platform for developing no-code, robust workflows for SharePoint. This is why you can expect more diverse post for interesting and useful(I hope) real-world examples from my day-to-day job. One of my first tasks was to plan and execute the migration of our public/extranet SharePoint 2010 farm to new SQL Server instance as part of internal infrastructure restructuring. As I mentioned this farm is hosting our public and extranet sites, so no downtime was allowed, this required the migration method to be database backup/restore instead of detach/attach. There are many resources how to do this, one of the best overviews of the process can be found in the posts of Thuan Soldier and Todd Klindt. 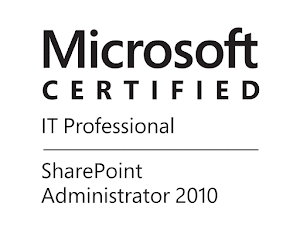 To be exact, stopping all SharePoint services is mentioned in both posts, this means complete outage, I did it only with complete content management change freeze and stopped Timer Services in order to prevent any timer job execution, and components that can write in the databases or in the local configuration cache. This is not the best way, but I and my stakeholders took the risk to do it that way and the migration went smoothly without content outage and issues. To minimize the risk I had to do the backup and restore as fast as possible. I had to do backup/restore for up to 40 databases with combined size of 70 GB. Database backup and restore is a click intensive, repeatable operation and people tend to do mistakes when a lot of clicking and repeating is involved, computers can do better repeatable,boring things. My solution to automate this process was a great powershell script from Chrissy LeMaire (PowerShell MVP). I just cannot express how good that script is! Although I haven't tested it in all possible scenarios that can be used in, I think it will work great just how it worked in my migration. The script is called Start-SqlServerMigration and you can check it out and download below. Here are some of the features: support detach/attach and backup/restore for db migration, can use Windows and SQL authentication, migrate Windows and SQL logins(with correct SID), supports old SQL Server versions, migrate jobs and SQL server objects, sets the initial source DB owner, export/migrate SQL global configuration and many more. See some screenshots of backup/restore migration in my dev. environment.